Alice Clark-Platts writes our monthly column on self-publishing. Here she talks to Philip Chatting, the author of Harbour Views, a witty and scathing comedy set amidst the glamour and chaos of Hong Kong. The city is now Philip's home, although he has lived in various places across the globe – in Africa, the Middle East and Asia. Philip published his first novel through Book Guild Publishing, an independent publishing house which has been publishing an eclectic mix of quality books for the last thirty years. Harbour Views was published using their system of Partnership Publishing – a full publishing package closely allied to conventional publishing, except authors contribute towards the costs and retain both creative control and a high level of involvement. This system of publishing offers the author a higher royalty rate than industry standards – 30% of the full retail price of the book with each one sold. Mainstream publishing offers anywhere between 7-10%. Book Guild will also represent their authors for two full years after publication ensuring loyalty and relationship between author and publishing house. Philip is hugely complimentary about the service he received from Book Guild, feeling that there were fewer hoops to jump through than he’d anticipated. He says the schedule Book Guild created was simple and, on the whole, everything worked like clockwork. He adds any issues he suffered came from elsewhere – for example, trying to trace copyright and get permission to reproduce lines from a pop song through a succession of New York lawyers – not the easiest job in the world! As a first time author, Philip feels he got all the support he needed. Perhaps an anomaly in the usually cutthroat world of publishing…. Book Guild are based in England, so they have been responsible for marketing and publicising the novel over there whilst Philip himself has taken on the same in Hong Kong. At age 70, he appears to have the energetic thrust of a sprinter. He maintains a full-time job whilst at the same time handling the sales and marketing of the novel. Carrying on from last month’s post on the Hong Kong Writers Circle, I wondered to what extent Philip engages with the vibrant writing community in Hong Kong? Whilst he has indeed made contacts amongst Hong Kong writers, he says that these are more social relationships than practical ones as it is the self-sufficient nature of writing that appeals to him. Philip’s next project is a book of short stories. Added to which, he has two chapters of a second novel on his computer. Perhaps Harbour Views will prove to be the first in a series of comedies set against the backdrop of the bright lights of Hong Kong? 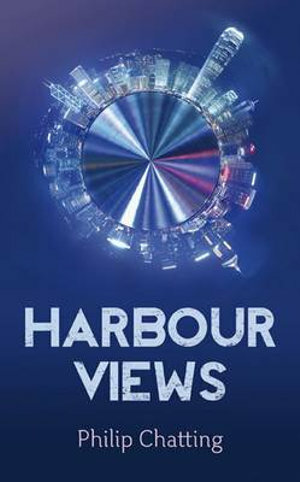 Harbour Views is published by Book Guild Publishing and is available here. Alice on self-publishing will take a break over the summer; the next column will be in September.